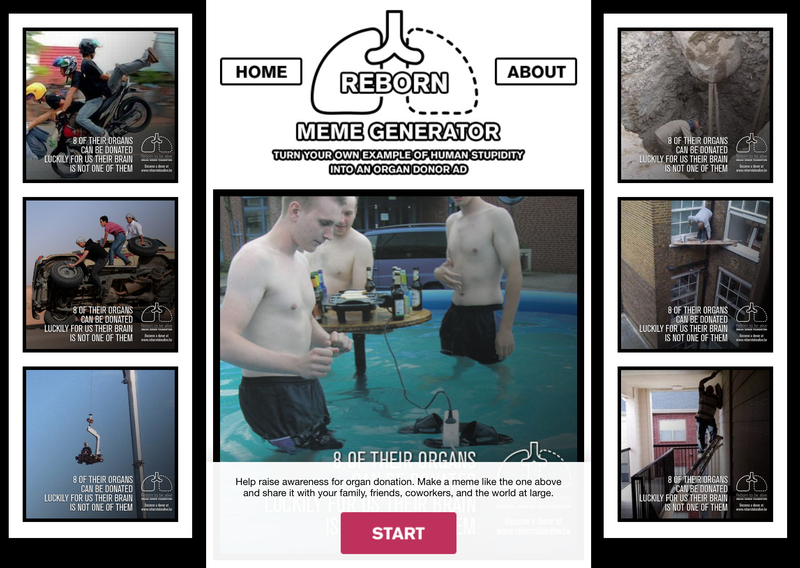 Belgian non-profit Reborn To Be Alive has raised awareness of the effectiveness of organ donation with “Reborn Memes”, an integrated advertising campaign featuring classic fails. 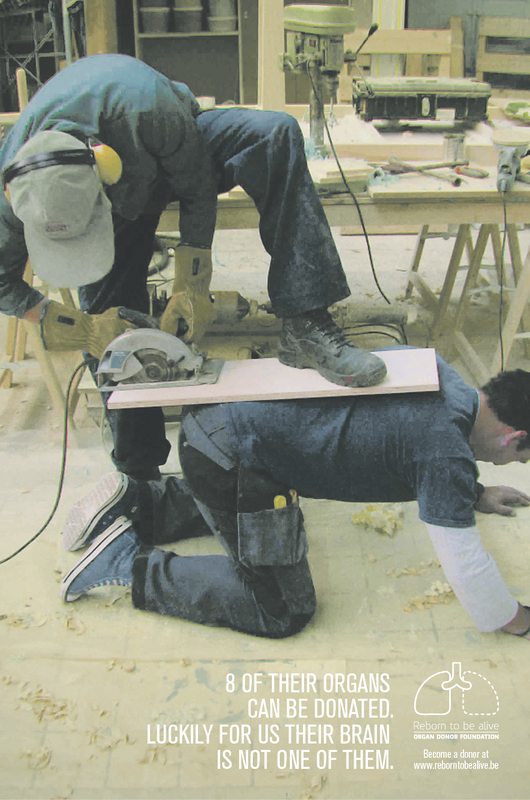 The life-risking stupid behaviour showcased in viral successes provided inspiration for print ads, commercials and crowd sourced online advertisements. 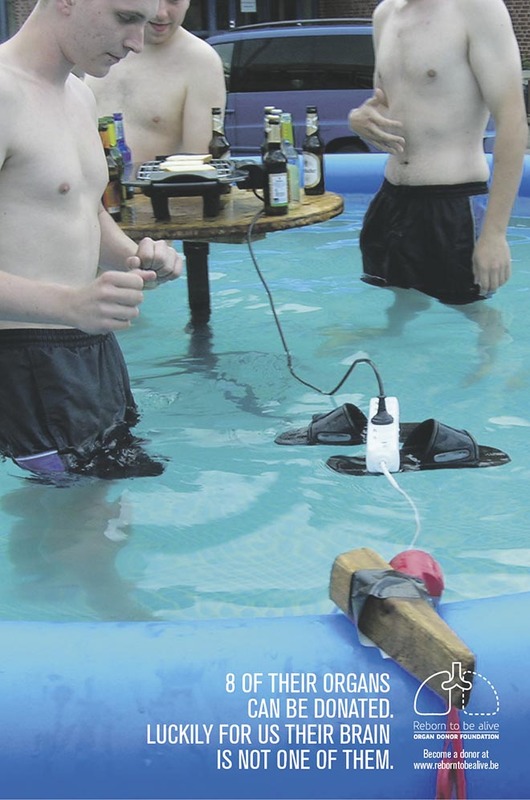 “If you are going to do stupid things that will potentially kill you, at least become an organ donor so you can save the lives of others. One donor can save up to 8 lives (by donating up to 8 organs). The brain however can not be donated. And in some cases that’s a good thing.” The Reborn Meme Generator is online at rebornmeme.be. The Reborn Memes campaign was developed at Duval Guillaume, Antwerp, by creative directors Geoffrey Hantson and Katrien Bottez, copywriter Cas Hamers, art director Ervin Ramrattan, account director Elke Janssens, account manager Jef Leysen, digital strategic planner Sophie Jadoul, DTP Wim Sels, executive digital producer Bart Vermijlen, creative technologist Gilles Vandenoostende, user experience designer Lode Vochten, photographer Niko Caignie, producer Ilse van Elsacker at Studio Make Stuff. 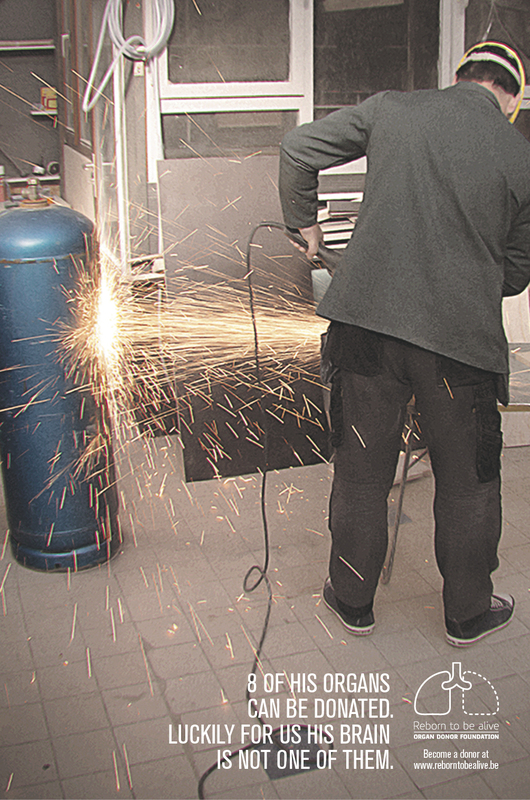 Online work was produced at Digital Craftsmen.